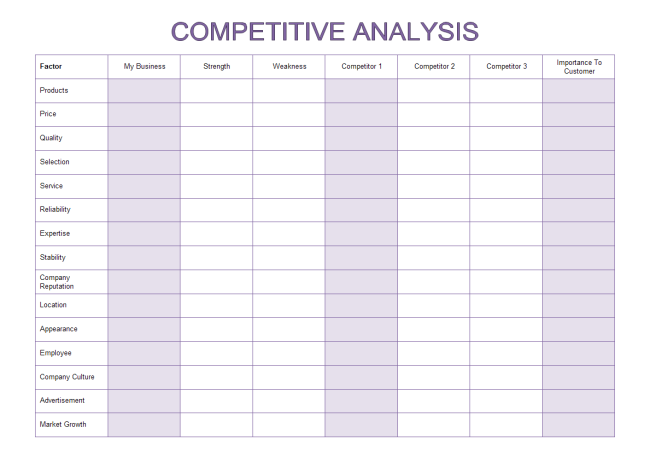 Description: A free customizable competitive analysis template is provided to download and print. Quickly get a head-start when creating your own competitive analysis table. Taking advantage of it will definitely benefit you a lot. More business form templates could be found in Edraw, which you can download and use.